From small business to global corporations, trade shows are great events to showcase your products, services, or capabilities. Many businesses generate new leads and new customers/clients at these events as thousands of people walk past their branding on the trade show floor. 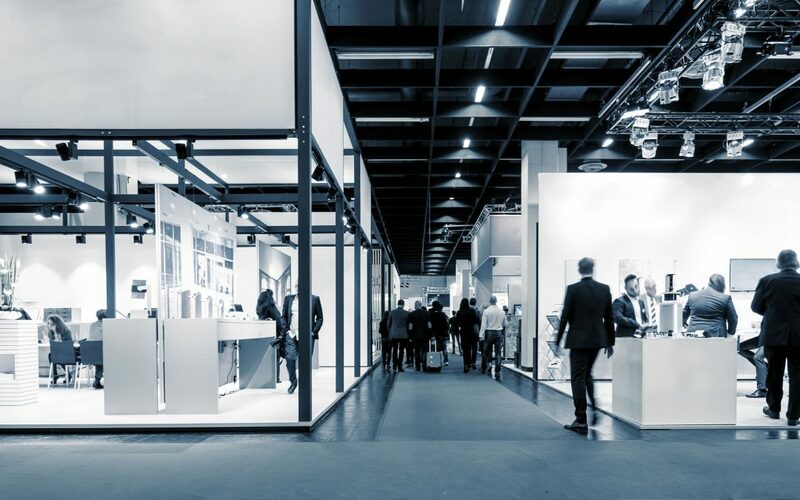 So how does a business make the jump into trade shows? The team at Pyramid Logistics transports goods for clients for more than 100 shows per year, and we put together a little handy tip sheet to get you started. Before you plan out anything, you need to have established a budget that will cover your plan. Some trade shows that are run by the same organized will offer you multi-show discounts. Also, other organizations that run trade shows give partial price breaks to companies with an active membership. The best way to stretch your money will be to have the events picked out well in advance, so you can take advantage of any early bird pricing offers. Which Events Are Right For Our Brand? How do you find the right event? We have a living calendar of upcoming shows to help you plan out your year. You’ll want to consider how far do you want to travel for a show, will the audience be right at each event, how many does your business plan attend in a year, and how far are those spaced apart to allow your team time to plan. Either way, you may want to start small. If you are B2C, you may not want to be at a conference for industry insiders. Likewise, if you are B2B, you want to be in front of business decision makers and not a venue that’s full of consumers. Depending on your business, you may only be bringing small pieces of collateral to your event if you have a 10×10 space. You may be on the other end of the spectrum, and you may have one of the largest exhibit spaces on the floor and you are bringing in millions of dollars of equipment. This can range from massive computer systems, high-priced vehicles, expensive artwork or signage, or your entire tradeshow booth. Pyramid Logistics has helped marketing teams, CTOs, CMOs, and business owners with a variety of unique and high-priced items. Once you’ve determined which shows you are attending and what you’ll bring, you will need to start figuring out transportation and logistics so that your show goes off without a hitch. We built Pyramid Logistics with a focus on exceeding our customers’ expectations. Whether they need exhibit shipping, exhibit trucking, exhibit transportation or delivery options for automobiles, movie sets, electronics, fragile goods, or any other specialty item, our team develops a project outline and works with your team to satisfy your goals. Pyramid Logistics is based in Westminster, California with offices in Las Vegas and capabilities across the United States. We routinely service partners with events in Anaheim, Los Angeles, San Francisco, Long Beach, Dallas, Boston, Chicago, Atlanta, Orlando, New Orleans, New York, and Washington D.C.
Our van lines, warehouses, security containers, air and sea freight partnerships, and other transit options give us the ability to ship anything you need anywhere in the world safely and cost-effectively. Do you have an event coming up in the near future, or are you looking to develop a transportation relationship that will serve your needs over a calendar year? We encourage you to reach out to our team who can customize solutions to match your planning. You can even enter some of your details here on our Request a Quote form to give us preliminary elimination for a phone call.